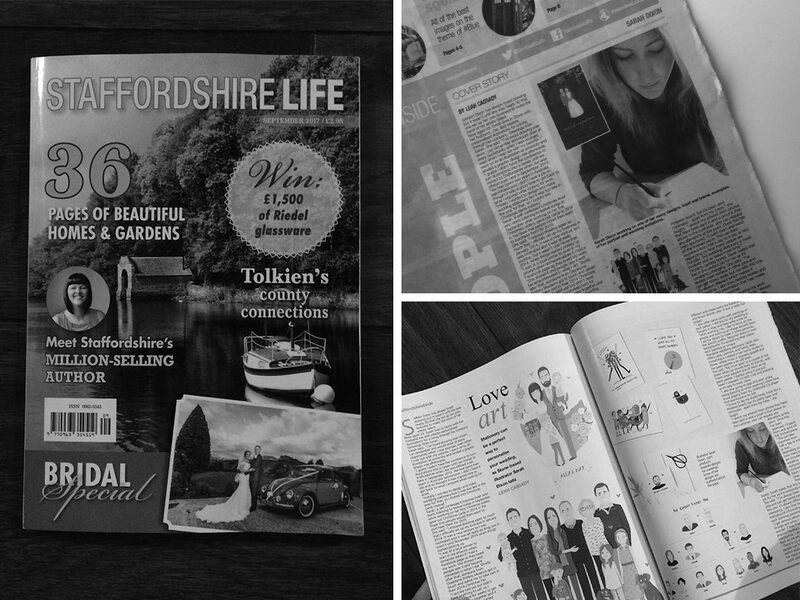 I'm super exited to be featured in Staffordshire Life Magazine and The Sentinel Newspaper this month!! It was a little out of my comfort zone being interviewed but the lovely Leah Cassady put me at ease and I am very happy with the article! If you'd like to have a read click the button below... Eek! Over the past couple of months I have had the pleasure of working with local Author Kathy Tallentire on illustrations for her charming new story... Nana Duck. The book is set in and around The Potteries (Stoke-on-Trent, England) and has a central storyline based on people calling each other duck. 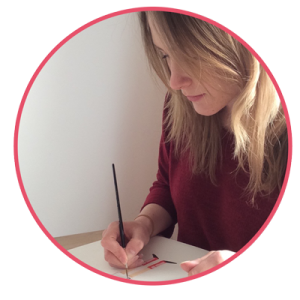 When moving to Stoke-On-Trent it was the first time I had experienced the use of ‘duck’ in a greeting and this has inspired a lot of my own work so I was delighted when Kathy got in touch to work on something that reflected a similar sentiment. Whilst the story is set in the Midlands, it is bound to make you smile wherever you are from as it is a warm tale that celebrates the relationship between a granddaughter and her grandparents and the funny things that children pick up on. 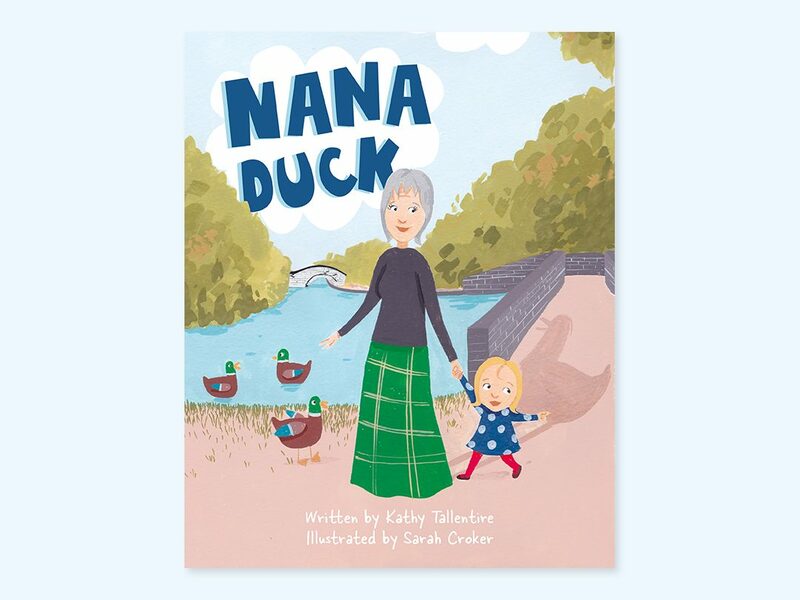 To help with the publication of ‘Nana Duck’ Kathy has launched a Kickstarter campaign to help fund printing and promotional costs. There are some fantastic rewards including a book mark, a colour-in book, limited edition prints and even the chance to name the canal boat in the story!!! If you are not familiar with Kickstarter, it’s a wonderful site to help creatives bring their ideas to life. It’s a great way to support smaller businesses grow and give them that initial boost to get their projects off the ground. Miles and Mia wins Best Children's book 2017 award!!!! So this morning I got a letter from Buckingham Palace, eek!! 🙂 🙂 🙂 🙂 So much excitement!!!! 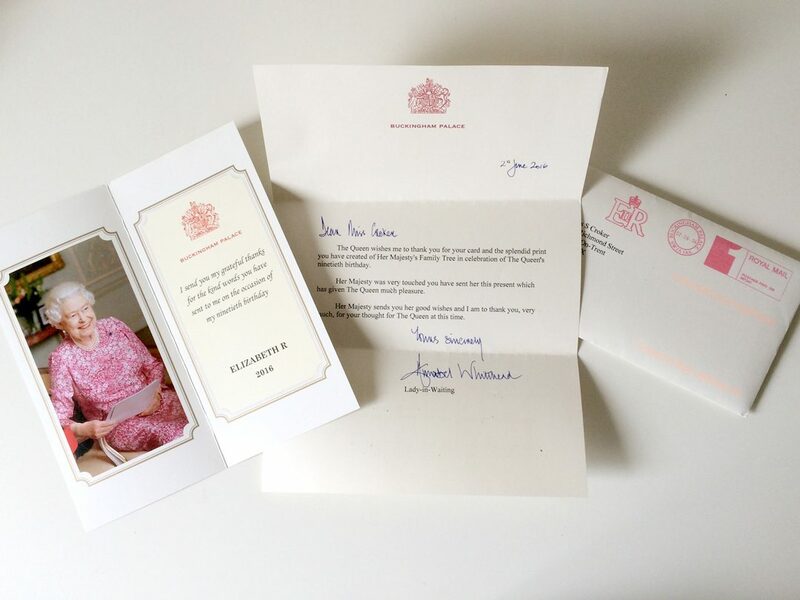 In my previous blog post I mentioned that Print number 1 of my Limited Edition Royal Family Tree illustration would be sent to Queen Elizabeth II as a special gift for her 90th Birthday and I am delighted to receive the above thank you note from Buckingham Palace!!!! 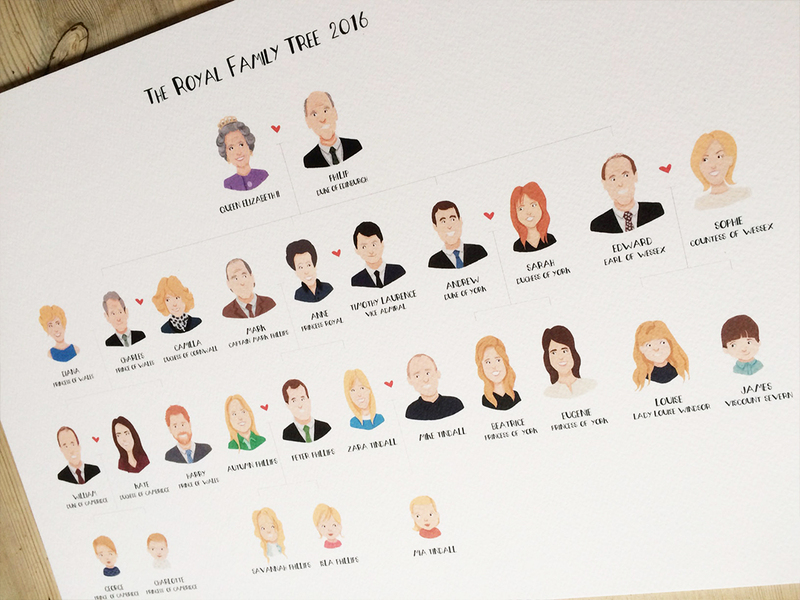 So a little later planned, I am excited to launch my newest project: The Royal Family Tree. As a celebration of the Queen’s 90th Birthday last week I am offering limited edition prints of my Royal Family Tree print with number 1 sent as a belated treat to the her majesty herself!! If you would like own one of these please visit my shop before they sell out!! I am also pleased to announce that I am soon to be offering bespoke family tree prints so you can own one featuring your very own relatives!! There will be a competition for a chance to win one of these on my Facebook page very soon so hop on over to take a look if this is something you would love to own. I am super excited to announce the release of my first illustrated book at the beginning of this month working alongside, the super talented writer, Michaela Alexander and her gorgeous kids, Miles and MIa. 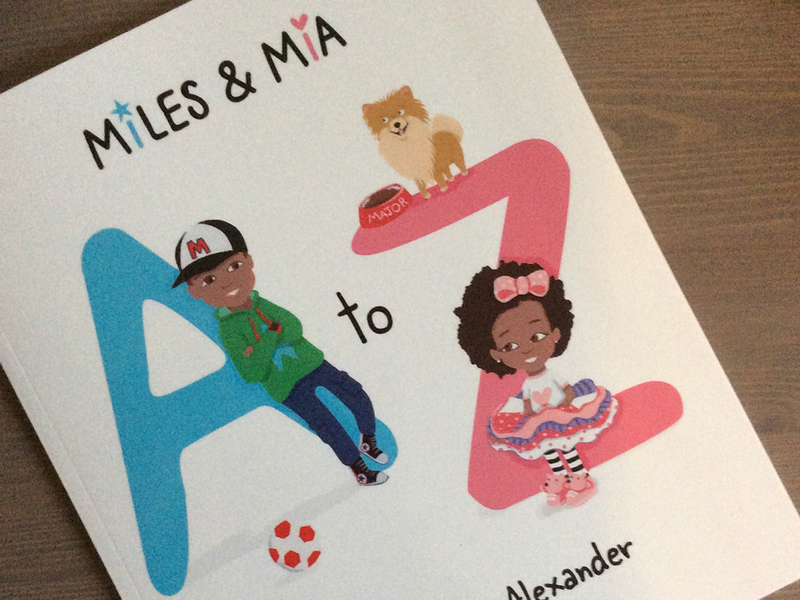 "Miles & Mia A to Z is an educational, picture book that teaches children different letters of the alphabet in a fun way. Featuring rhyming text and colourful original illustrations, Miles & Mia A to Z is sure to delight children of all ages as well as parents." You can find out more about this wonderful project at www.milesandmia.com and give them a follow on Instagram to find out what is coming next, not to mention, see some super cute snaps of the stars of the books and their fans! !